Check out the Bang on a Can Marathon: Hear amazing music for free | Will You Miss Me When I'm Gone? 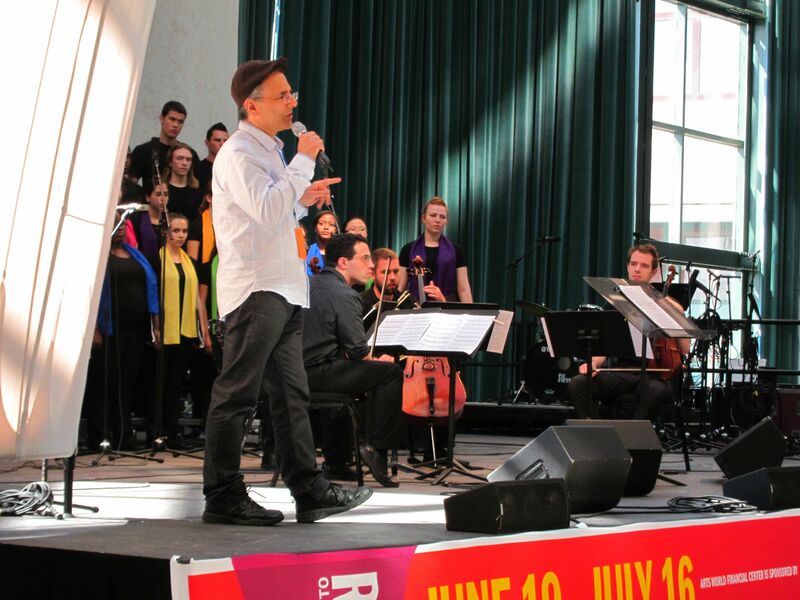 Head to the Winter Garden at Brookfield Place at the World Financial Center in lower Manhattan on Sunday afternoon for a fantastic exploration of New Music. The 2014 edition of the annual Bang on a Can Marathon starts at 2 p.m. and runs through 10 p.m. You can come and go as you please, sampling everything from serious compositions by Bang on a Can‘s founding composers — Michael Gordon, Julia Wolfe, and David Lang — to works by rock band The National’s Bryce Dessner, along with performances by the inimitable Meredith Monk, Jherek Bischoff, So Percussion, and female vocal quartet Anonymous 4. Tap or click here to see the full performance schedule. This event is really a must to experience in person — you’ll see artists mingling with audience in chance encounters throughout the show, get to see and buy CDs and merchandise at the huge merch table, and maybe even take a break to go shopping in the urban mall. And be sure to check out Found Sound Nation, which hosts its Street Studio – a mobile recording studio where anyone can spontaneously create and record original music! If you can’t get there, you don’t have to miss out, though. It will be webcast in HD audio and videol. Tap or click here to WATCH LIVE. This entry was posted in Concerts, Contemporary, Contemporary Classical, Free, Music, News and tagged Bang on a Can Marathon, Bryce Dessner, Concert, David Lang, Free, Julia Wolfe, Meredith Monk, Michael Gordon, New Music, Roomful of Teeth, Winter Garden. Bookmark the permalink.